His royal majesty, Ya-Na Abukari Mahama II, the king of Dagbon, after a closed door meeting with Saboba Na, Uchabobor Bowan John Masteer Sakojim IV, a paramount chief of the Konkomba and Cheriponi Fame Pastor Ndakar Jaminja, a paramount chief of the Chokosis who are both members of Dagbon Traditional Council together with the District Chief Executives of Saboba and Cheriponi has called for ceasefire in Cheriponi. 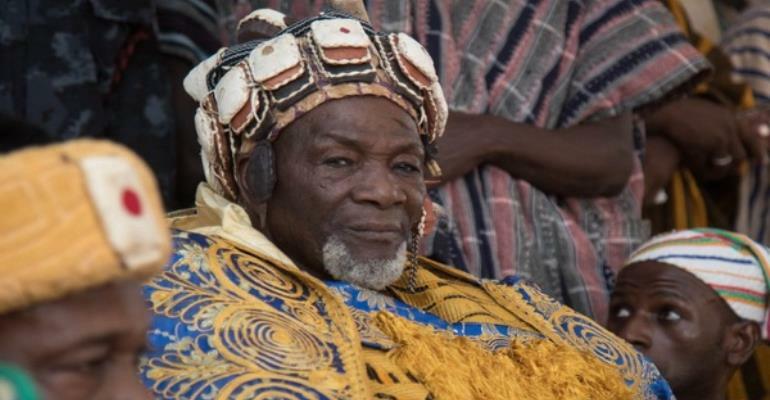 According to the secretary of the overlord of Dagbon, Abdul-Rahaman Mohammed, his royal majesty admonished the chiefs and District Chief Executives of the 'war' stricken areas to ensure, within the shortest possible time, that peace and calm returns to their respective jurisdiction. The Ya-Na , indicated the need for the two ethnic groups to exercise restraint in the unfolding ethnic conflict between Anufo (Chakosi) and Konkomba. Eastern Dagbon has been known by the rest of the country as an inter tribal conflict area. However, with his rise to the Dagbon throne, Ya-Na Abukari II seeks to make the area one of peace. He has therefore tasked the chiefs and District Chief Executives in the catchment area to ensure and promote peace, a tool he believes will drive development and growth in the area. His Royal Highness said its impossible for anybody to demand or deserve any development when peace is not a hallmark. Howbeit, Ya-Na Mahama II has called on the leadership of Konkomba and Chokosis in the Country and elsewhere to assist the chiefs in the conflict area to nib the violence about to start in the bud. He also called on the President, Nana Addo Dankwa Akufo Addo and his government to take a close watch at the security situation in the area to ensure normalcy in the area.